Not easy to get workouts in when you have career where you travel and work long hours….sounds familiar, right? 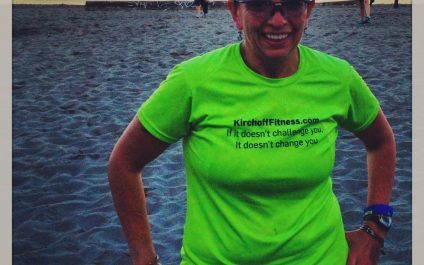 After struggling with arthritis and other foot/leg issues, low energy and weight gain Jen decided she was ready to do something. She joined Seattle’s Best Boot Camp with her buddy and enjoyed the camaraderie, being outdoors and getting her workout in (at 5:30am) before her busy day begins. Here we are again --- gung ho and ready to start a new year! For most that can mean hitting the gym hard, weight loss goals, resolutions of eating better and fitting into those jeans you love so much but just can’t seem to button that top button. Burn Off Your Turkey Challenge! We are currently burning off our turkey in my morning boot camp class! I know it has been a few days since that turkey dinner:) According to ACE (American Counsel on Exercise) the average American eats a 3000 calorie turkey dinner on Thanksgiving Day.